After being scattered on the winds of time for 2500 years, the Goddesses and Gods of Classical Greece reunite for the 2004 Summer Olympic Games in Athens. However, the once-almighty Immortals find themselves in a reality vastly different from the one they remember, and radically different from the one we know. Zeus no longer holds dominion over the wide heavens, and Hera and Athena have reclaimed their stature as equal partners, changes brought about by the transformation of human consciousness which occurred at the turn of the Millennium. In this new reality, gender equality, social justice and sustainability are cultural norms, and human society has matured into the first global democracy on Planet Earth. Yet, it is all at risk. 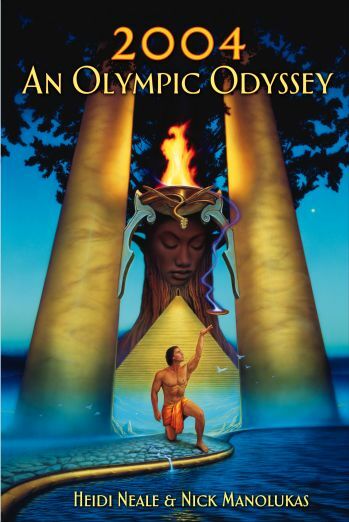 The Immortals, together with the mortal heroes, Greek-American decathlete Herakles Speros and Caribbean sprinter Alanta January, must unite to stop Ares, the God of War, whose terrorist henchmen would use the power of the atom to destroy the peace. As the athletes prepare for their Olympic competitions, and Eros ignites their hearts with love, they are fatefully swept into the mythic drama. From the depths of Hades to the summit of Mount Olympos, they must successfully navigate the realm of dreams and visions if they are to fulfill their destiny of saving the Games.